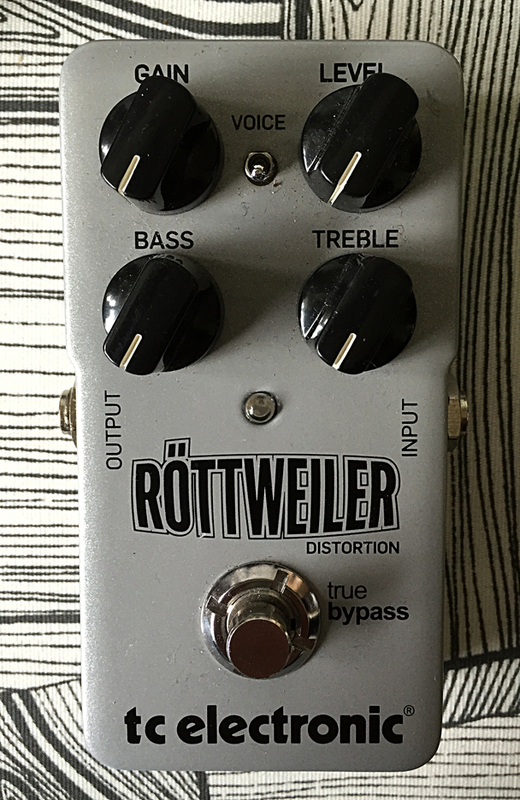 TC Electronic Röttweiler Metal Distortion, made presumably in china, early 10’s. TCE is quite highly regarded brand. And there are several good reasons for it. The brand’s rack units for studio use shook the recording professionals in the 90’s and they’ve been pushing solid products ever since. 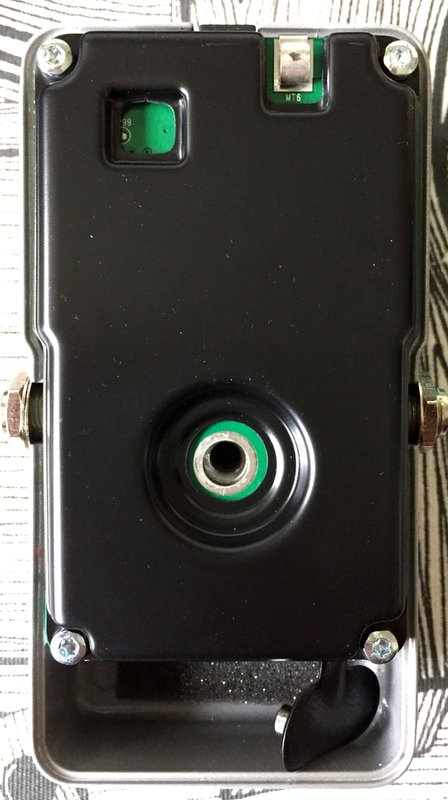 For example, it was TCE’s polytune that made working polyphonic pedal tuners available in reasonable price range. Which then obviously meant a hit. One that the brand was recognized by guitarists as well as the recording engineer folk. Construction is quite solid, but i just didn’t find the interest to open this completely up. We have relay based true bypass and SMD construction under the metal shield plate. As for the controls, we have low/high EQ-knobs, volume and gain. The gain control behaviour reminds me of one found in Boss HM-2, which makes me think the circuit may very well be similar to the classic Heavy Metal box. The voice switch feels like it takes one gyrator stage on and off from the circuit. This would be rather close to a modification i’ve seen done on the mentioned idol. It’s basically an “add more treble” switch. The EQ range is sufficient, and i’m quite certain the controls are for gyrator based active EQs. And by sound too. The HM-2 definitely comes to mind. Not sure if the design is actually close or if it even has anything similar going for it. Still, the sound is close even if the design isn’t. The mids sound like they are fixed and set on a level that ok. Not scooped or boosted, so they’ll fit to most ears out of the box. 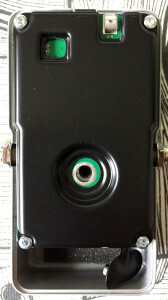 Simply to sum it up, this is cheap and nice high gain distortion with adequate output level, sucky gain control that is pretty much usable only with all or nothing settings. This accompanied with decent and usable EQ-section. Nothing bad, but somehow slightly boring. Modern take on HM-2. 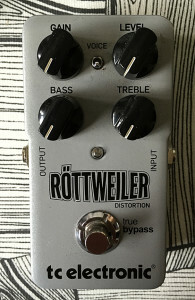 For the price it’s very decent metal distortion. Entries (RSS) and Comments (RSS). 34 queries in 0.109 seconds.